What are the Types of Mattresses for Side Sleepers? As you know, sleep is incredibly important. It’s the best thing you can do to immediately make a real difference in your physical, mental, and emotional health. That’s why it’s so important to have a great type of mattress, which will lead to restful, deep, and restorative sleep. We spend a third of our lives in these things, we might as well make it worth it, right? Thankfully there are a wealth of options on the market today. However, if you’re a side sleeper, it can seem like the industry has ignored you. So many modern types of beds are designed to alleviate traditional pressure points, but they won’t work for pressure points that come from sleeping on your side. It can be hard to tell which types are the best choices for side sleepers, given that there are so many options to sort through. We know it can also be confusing to see so many different reviews from previous buyers. After all, beds are such an individual product to judge which is why we have decided to create a review page on the best mattresses that will help people with back problems, or spine problems get through the night with a good long sleep each and every single time they hit the sack. After all, that what we all want, right? We’re here to help you out! We’ve put in the time and energy to do real research into the best mattresses for side sleepers. In this guide, we’ll take you through our in-depth reviews of 3 great options we think you’ll love. We’ve also put together a quick guide to understanding the differences between a good model for back sleepers, and a good design for side sleepers. So, if you want to read the best mattresses for side-sleepers review that we made then hold on tight and keep reading. So, what is the best bed for side sleepers? On this page, we will review all the top products as well as give you more information in regards to which goods or features to look for when trying to buy a new bed. People who sleep on their back or stomach lie the straightest of all of us. That means that their body weight is distributed pretty evenly. You’ll see a few heavier points, usually around your hips, your upper back, and your head. These are well-recognized pressure points, and virtually any mattress is designed to alleviate pressure there. ​However, if you sleep on your back, your weight isn’t as evenly distributed. Since your body is much more uneven on its side, your shoulders need a bit more. ​You need one that will keep your spine straight as you sleep on your side, and alleviate pressure at your shoulders and back. The ideal type of bedding for side sleepers has enough given to relieve pressure on your shoulders and hips, but enough support to keep your spine from dipping or curving as you lie. ​Traditional beds don’t have enough cushion or “give” at those pressure points. That means they won’t let your shoulders and hips sink in. That results in your midsection curving down towards the mattress. ​As your chiropractor will tell you, that’s all sorts of bad news for your health. In addition to sleeping restlessly because of achy pressure points, severe spinal alignment keeps your immune system and other biological functions from working as well at night. Since sleeping time is your body’s best chance to repair itself, recharge, and prepare you for the next day, it’s critical to make sure the main communication line remains open! ​One more thing–chances are, if you sleep on your side, you’re not stretching out as straight as someone who sleeps on their back. You probably curl up slightly, or maybe revert to the full fetal position. That means your weight is even more concentrated on a particular part of the bed. 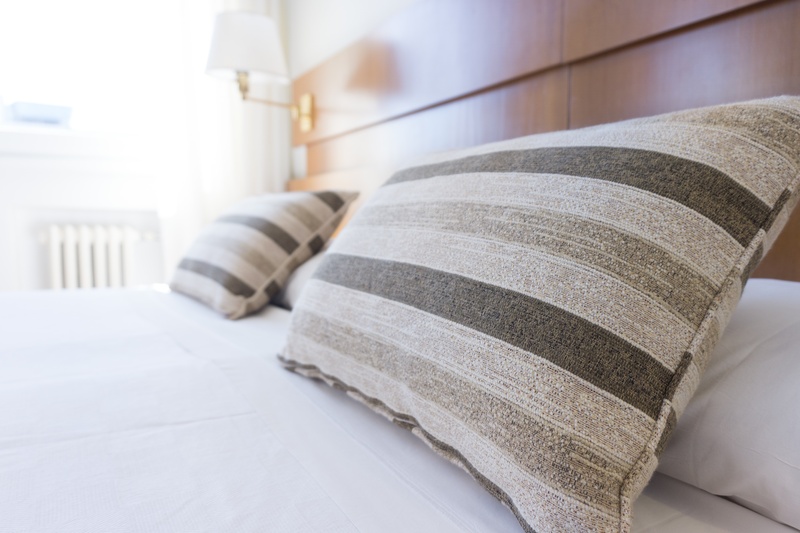 ​Most beds aren’t designed to alleviate those side-specific pressure points. As a result, you’ll find yourself rolling over and switching sides to make yourself more comfortable. Each time you have to switch, you’re disrupting that deep REM sleep that we all need. ​We’ve looked for mattresses that use a few different layers of material to provide that elusive balance between cushion and support. 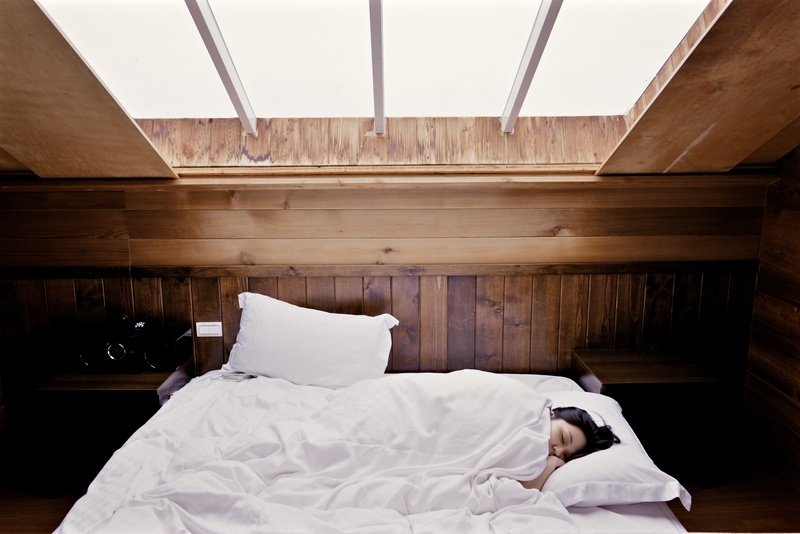 Firmness (note: firmer is not always better, as we’ve said) – how do you sleep best? Do you have a partner to think about? What’s the best compromise for you? Coils, latex, memory foam, or hybrids? – What are your preferences? Memory foam is currently the most popular choice. It’s much better than traditional mattresses at adapting to an individual body’s pressure points and curves. However, memory foam tends to trap heat. Look for memory foam with open-air cells, or gel beads to cut the heat factor. Latex provides a similar molding effect and is better at keeping you cool. We also love the durability of latex models. However, they’re the most expensive sort. While spring coil systems get a bad rap these days, there are a few new kinds of spring mattress that will be worth a glance. We like coil-wrapped springs. They’re different than traditional beds, which linked all the springs together. That means the whole bed bounces whenever a person moves. These individually wrapped coils help isolate movement, like a foam mattress. The big plus with springs is they’re cheaper and don’t have a strong chemical odor (which can be a downside of memory foam or latex). Your budget and finances – what can you afford? If you are looking for a deal and think that cheaper is the way to go, then you should take into account how long your new bed will be in your home. If you are looking for one to last you for decades, then you may have to spend more money at the outset to get a durable model. Remember that your initial money well spent if you can keep it for many years! In contrast, if you only need one that will last a few years (say, for a child who will be leaving or because it will be in the guest room and rarely used) then getting a bargain may make sense for you. Size, length, width, height and other dimensions – will it fit your needs? Warranty – does it have one? For how long? Are there any exceptions? How often will it be used? – Will it be in a guest room? In a master bedroom? Who is it for? – is it for your kid going off to college or for your aging, arthritic parent? These questions are all very important to ask yourself before deciding on your purchase. 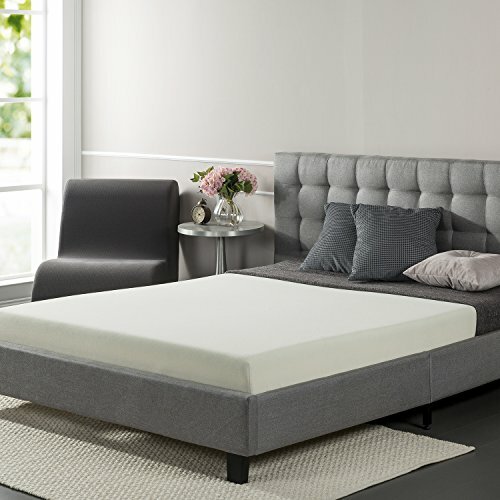 Normally, people don't bother looking up mattresses online, but when they do they usually find out that there is actually a better way of life.​ Now, we have gathered the best-quality beds for side-sleepers that we could find and put in on this list for you to choose from. We have included a lot in our criteria in rating these products and brands. Let's get into it! 79 x 60 x 11"
75 x 6 x 39"
80 x 76 x 14"
This top-rated model has a lot of fans out there! It’s an innovative and exciting new way to sleep because it is entirely based on YOUR needs (your number one priority when creating your new bed!). This is one of the best options out there for people who have very specific comfort preferences. Plus, it’s way less expensive than a Sleep Number! This might just be the perfect side sleeper mattress for you. You can adjust the level of comfort, firmness, or softness in just minutes. This type is special because it’s built from several layers of foam, which can be swapped around to form your ideal sleeping surface. You can have a very firm bed if needed, or an incredibly plush one, if that is what you prefer. You can also vary the depth of cushion, to change the height at which the support kicks in. There’s also the option to have two custom fits in one, with the King-size option. This gives you a split surface, so you and your partner can have different sleep experiences in the very same bed! The whole thing absorbs motion very well. When a spouse, child or dog is sleeping with you, they can roll and not disturb you. These absorb that movement. The firmer settings are perfect for those with lower back pain. A more structured support layer keeps your spine level, which prevents that core lower area from collapsing and absorbing stress. This one has a zippered case on the outside, which hides all the foam pieces and keeps them all aligned in a stack. It’s all made in the USA, and is Certi-Pur certified to have lower off-gassing. It’s the best choice for people who have very specific needs, aside from being a side sleeper. Would be a great choice for those who suffer from bone or joint pain. Unless you’re getting the King version, you will have to agree upon a setting with whomever it is with which you sleep. You may want harder support while they want plush softness. However, that’s a compromise you’d have to make with any bed. ​So, what is the best mattress for side sleepers? You'll have the answer to that question in just a little bit if you don't know it already. So, sit back and relax then keep reading on to find out about it. This best-selling bed is an attractive purchase for side sleepers who want a firm, sturdy bed that will stand the test of time. It’s the strongest of our recommendations, which means it’s very supportive for your back. It’s ideal for smaller-framed people, or folks just find firmer beds more comfortable. We also love that it comes with a full bed frame and headboard! 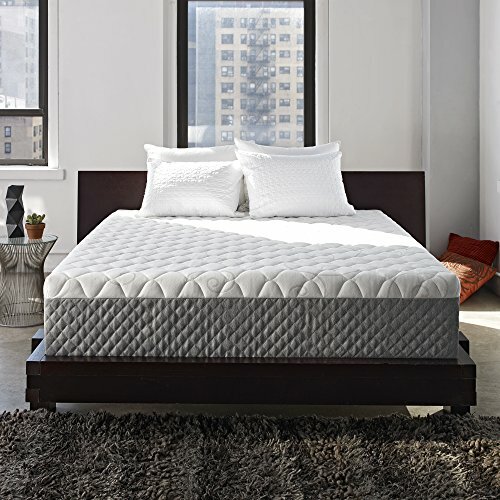 Are you interested about our "best mattress for side sleeper reviews" page? Then just keep reading on, and you'll find more products that can help you in your troubles with comfort when you're in your bedroom. ​These products will surely give you your money's worth once you've tried it. We guarantee that you won't be disappointed in any of the models that are featured on this review page. The very reasonable price makes it accessible to most people. 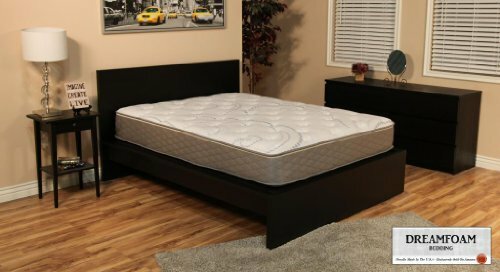 It’s only slightly more expensive than the DreamFoam but provides more dense foam for keeping your back stable all night long. The best part of the bargain is that the platform bed, slats, and headboard are all thrown in! Since it’s a complete bed set, it’s a very convenient way to get your whole pad set up in one fell swoop. Just like the DreamFoam, this type of mattress is made from Certi-Pur with low emissions foam. This one is very supportive, which is great for people with back problems, especially lower back pain. It has a top layer of memory foam for custom comfort, which adapts to your body and relieves pressure. Under the memory foam, there’s a thick layer of support foam of a much higher density. Overall, you’ll sink into this one less than you would with the DreamFoam. The top layer of memory foam has charcoal dust embedded in it. This works as an air filter, like the carbon systems you’ll find in air conditioners or odor-removers. That’s a big plus, since it cuts down on the off-gassing from the memory foam. The low odor makes the Sleep Master a good choice for people with chemical sensitivities. It’s covered by a 10-year warranty. You’ll also be reassured by a 5-year warranty on the bed frame and headboard. Firm beds are not for everyone. Be sure that you want a harder, firmer bed before buying this product. This Sleepmaster is supportive, inexpensive and odor-free. The firm comfort level is perfect for those with joint and muscle pain, as well as people who prefer not to sink into memory foam quite as deeply. It’s a great bargain for people who want a complete bed package with all high-quality parts that you can count on for years to come. If you are looking for the best side sleeper mattress, then you are in the right place. Introducing you the Sleep Innovations brand, this Sleep Innovations model is our top quality pick for side sleepers. It’s the thickest of our recommendations, at 14″, and provides an excellent balance between cushion and support. We love the smart layer design, which allows for better ventilation and a more structured bed at the same time! It’s an excellent choice that’s big, comfortable, and a third the price of the big brand names. Of all the products that we have reviewed, this one really comes atop amongst all the beds that are built for side-sleepers. Its popularity comes to no surprise for us which is why we were so compelled to review it on our website. ​It's guaranteed to be one of the best mattress for a side sleeper. So, if you are looking to finally get rid of the pain that you are already accustomed to, then welcome to a new life because with this model you will surely feel like you're in a different world. It's heaven for sure. Since it is a King, it would be ideal for a master bedroom. It is also built to absorb movement so that when the two “masters” of the house toss and turn or get up for water, they do not disturb one another. This type of comfort can only be had wth this model. It offers a firm and supportive top that will be great for those who have back problems. In addition, this firmness is why it doesn’t transfer motion. Firm beds, however, are not for everyone so be aware of that fact when making your purchase. Buying a mattress is a personal decision that will depend on your budget, preferences and the size of your bed. However, if you are looking for a mid-priced option with a lot of “bells and whistles” then this just may be for you. It uses smartly-designed foam layers to achieve a nice balance of comfort and support. The top layer is 2.5″ of memory foam. It cradles your body, and helps relieve pressure points. Underneath that layer, there’s a 2.5″ slab of foam with air channels built in. This helps keep heat from building up, which is a complaint some people had with the DreamFoam. The base layer is a thick 9″ block of support foam. It’s high density, which allows even heavier sleepers to maintain good spinal alignment all night long. It’s specifically designed and recommended for side sleepers. Memory foam allows for it to accommodate your specific body shape, while the structured base makes sure your spine doesn’t sink below the level line. This is the best choice for people who sleep with partners and want to minimize the spread of movement. The sheer depth of it, combined with the memory foam upper layer, keeps motion isolated and helps you sleep more restfully–even if your partner gets up. It’s very reasonably priced, considering how thick it is. The deep, luxurious mattress makes an ideal centerpiece for a master bedroom. Even though it’s thick and cushioned, it’s more supportive than many other “deluxe” or “plush” options, which is a big plus for people sleeping on their sides. Sleep Innovations do a lot more research to create personalized comfort levels than some other companies. We really appreciate that they provide a comfort guide and comparison chart to help you figure out which of their models is your best bet. This one, the Alden, is recommended for wide sleepers with an average body ratio (height: weight). Since it’s deeper, it provides more of a cradling sensation than some other models. It’s built completely in the USA, and is covered by a very strong 20-year warranty. That’s solid peace of mind for a big bed purchase! Since it’s such a deep mattress, some people who found it a bit warm. That’s because there are a few inches of sink on the top of the mattress. If you’re someone who tends to sleep on the warmer side or live in a hotter area, this might not be the best choice. Sleep Innovations offer a few variations with a bit less of a cradling effect, which helps prevent heat buildup. This is a solidly-built, deluxe choice for just about any side sleeper. While it’s the most expensive of our recommendations, most middle-class Americans could still afford it, and it’s a lot cheaper than the big box store brands. It works well and does what it promises. We like it because it combines a plush surface with a high base which supports and bolsters your spine so that you can sleep comfortable and get the rest that you need! Let’s quickly recap the pros and cons of each type so that you can decide what works best for you. We should start by offering a caveat: Everything on this site is a recommendation and is certainly not the be-all and end-all. You should take the advice offered but always be ready to think for yourself, as well. We should also point out that we recommended three memory foam types, and haven’t featured any spring or latex options here. That’s because we’ve found that memory foam offers the best compromise between cushion and support for side sleepers. There are some latex options which can give you a similar effect, but latex models tend to be on the firmer side overall. Plus, they cost prohibitive. We’ve found that spring beds just don’t have the durability you need as a side sleeper. They tend to cave in easily, especially when all your weight is concentrated. While memory foam versions have both lovers and haters, most people are now choosing this type of because they allow for a customized sleep that you can’t get any other way. In addition, they are easiest to ship, move and set up. Want to compare the rest of the most comfortable mattresses for side sleepers? Check out the best sellers on Amazon!